If you plan on using insurance for reimbursement, please note that Dr. Bisignano is considered an “out of network” provider. She can provide a statement or super bill for all services rendered for reimbursement or tax purposes. If you are not sure what your insurance will cover, please call them directly for the specifics of your plan’s coverage. Ask if they cover mental health services. Ask whether your health plan covers psychologists and what kind of treatments are covered and excluded. 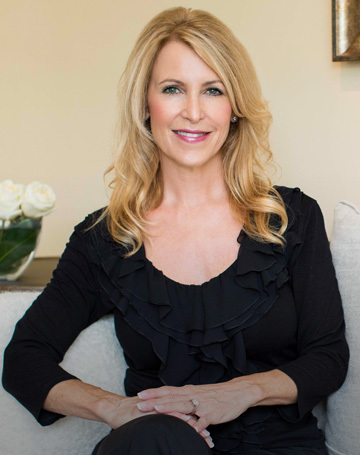 If you are interested in working with Dr. Bisignano, let them know she is a licensed clinical psychologist practicing in Palos Verdes Estates, CA, 90274. She is an “out of network” provider. Have I met the deductible? Is there a limit to the number of therapy sessions? Dr. Bisignano accepts payment by cash, checks, Visa, Mastercard and American Express. Payment is due at the beginning of each session, unless other arrangements have been made. Please call the office for current pricing of her services. Full payment is expected at the time of service unless other arrangements have been made. Dr. Bisignano allows for a limited number of lower fee appointments for those experiencing hardship. She prefers to hold these appointments slots for current clients who are experiencing challenges or life transitions during therapy work together. If Dr. Bisignano’s fee is a concern to you, please let her know and you can discuss it. If she is unable to accommodate your financial situation, she will provide you with referrals. If you should become involved with legal proceedings that require Dr. Bisignano’s participation you will be expected to pay for her professional time and services, even if she is called upon by another party. Due to the challenges of legal involvement and the interruption to Dr. Bisignano’s regular practice, she charges $500.00 per hour for preparation and attendance at any legal proceedings. Dr Bisignano will provide a receipt at the end of each day and expect payment upon receipt unless other arrangements have been made. Therapy is a wonderful process; however, it can be challenging at times for people when they are experiencing difficult emotions. It can sometimes feel easier to avoid or not coming to therapy. If this is the case, Dr. Bisignano prefers you speak to her about this and she can help you process what is going on. Dr. Bisignano holds your scheduled appointment time specifically for you. She sees a limited number of clients so that she can be at her best with each client and provide them with excellent care. It is difficult for her to fill a cancelled appointment with short notice. Therefore, Dr. Bisignano charges for all appointments cancelled with less than 48 hours notice, unless you can find an alternate time during the week that fits both of your schedules. Thank you for understanding.